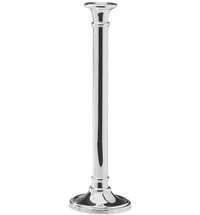 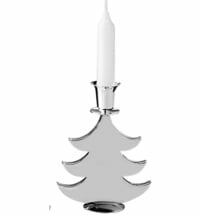 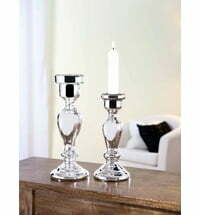 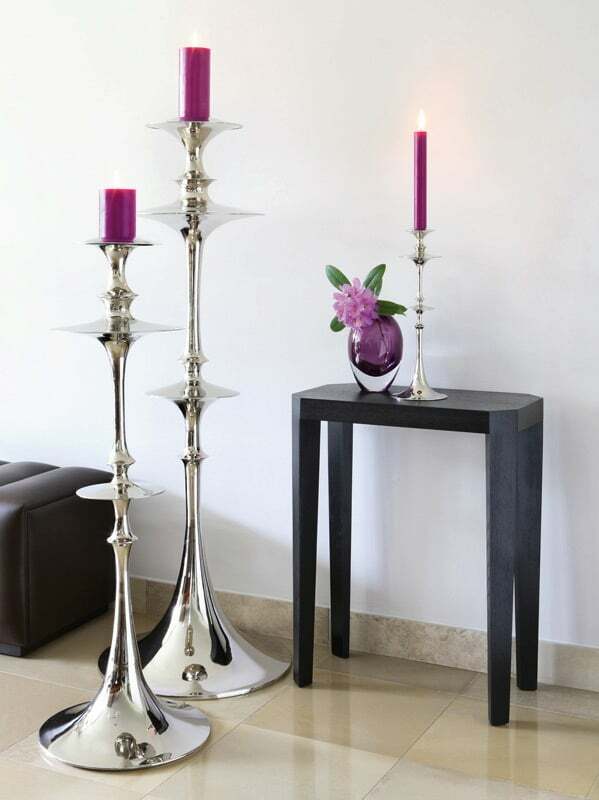 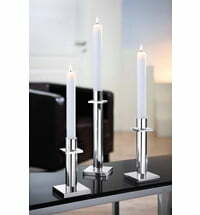 This extravagant series of nickel-plated candlesticks is made by Fink. 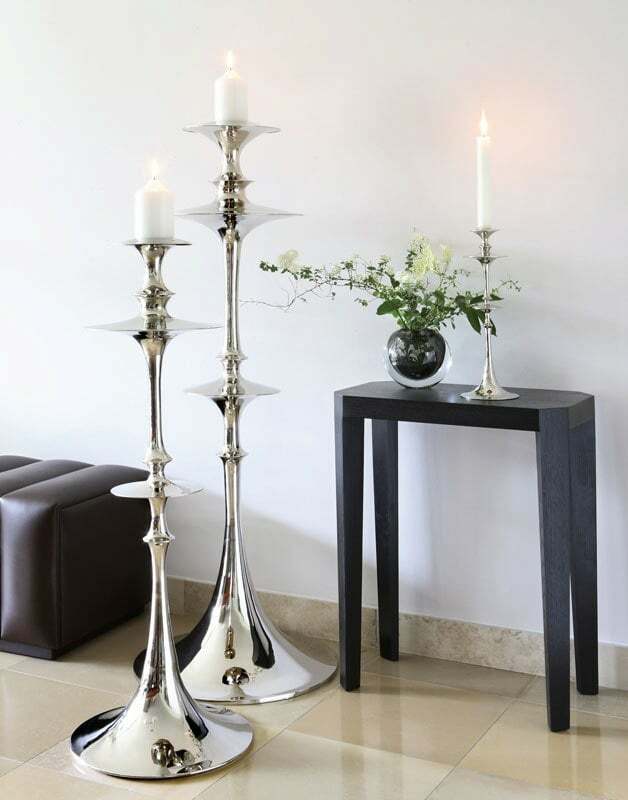 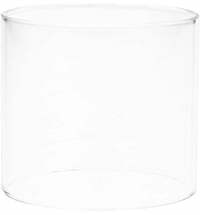 The smaller versions are perfect as candle holders for the table, while the two larger versions make beautiful floor lamps. 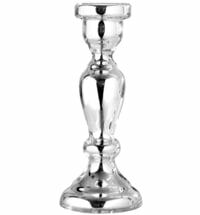 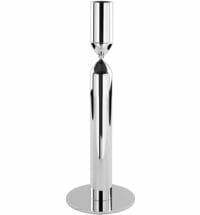 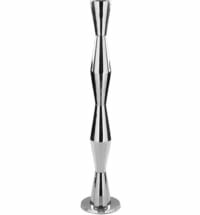 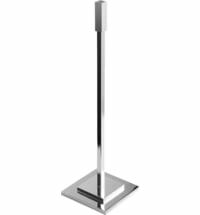 The Giacometti candlesticks are characteriyed by their unusual but stylish design. 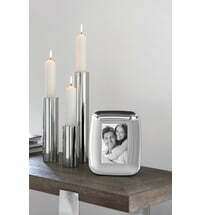 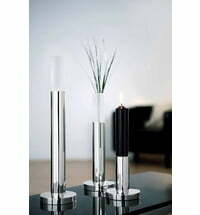 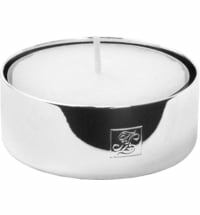 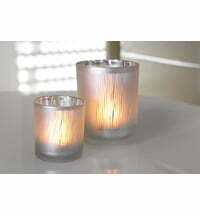 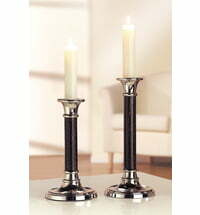 These lovely candlesticks give your home an extra special light.